Ajoneny used to live in Yei, South Sudan with her husband and five children. Together, they had a good life. She worked as a tailor and her husband was a businessman. She and her husband made sure to always have enough food to feed the entire family and her children would attend school each day. But when conflict in South Sudan erupted, everything changed. One night, after the fighting had started, attackers came to Ajoneny’s village and began slaughtering people in their homes. Ajoneny witnessed in horror her two brother-in-laws being killed. She herself was physically beaten. 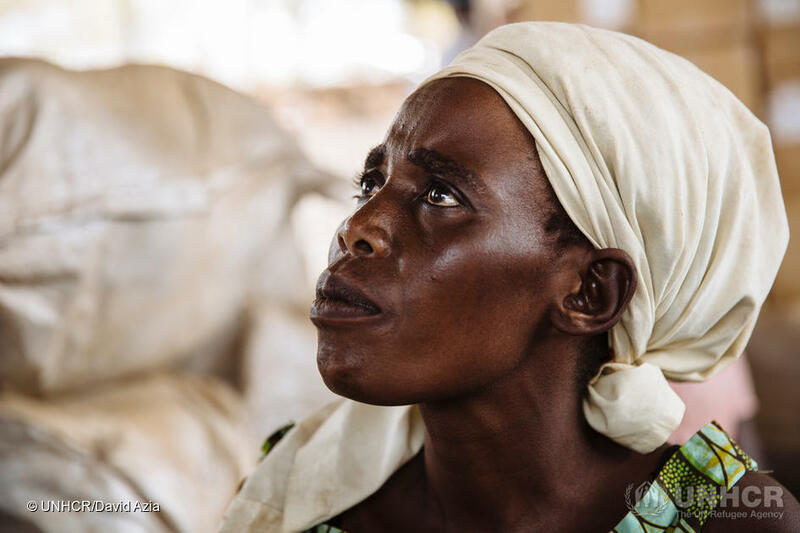 She was left with no choice but to flee with her children to Uganda. In the chaos there was no time to find her husband or to pack their belongings (including Ajoneny’s sewing machine) and they ran with only the clothes on their back. Ajoneny found safety in Uganda. After being brought to a refugee reception center, she received help from UNHCR, the UN Refugee Agency. 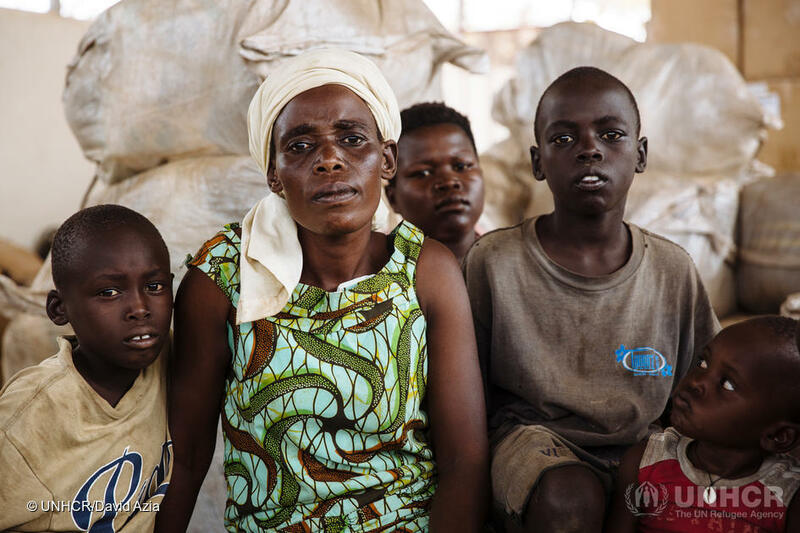 Following registration, UNHCR assigned Ajoneny and her family an Emergency Shelter Kit, as well as their own plot of land to build their temporary shelter. She wishes there was peace in South Sudan so they could go home.